Donald Macleod explores how Haydn juggled a high-profile visit from Empress Maria Theresa with the demands of composing a set of brilliant new piano sonatas. 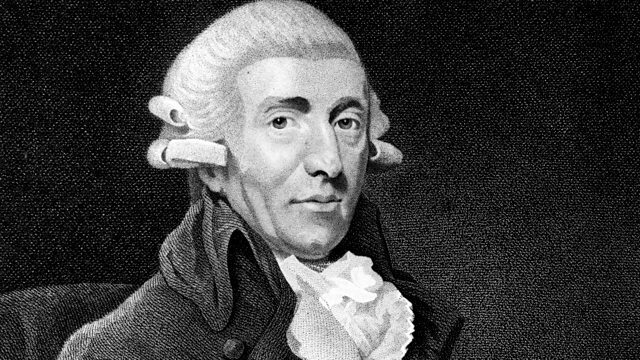 Joseph Haydn's rightly lionised by music history as the "Father of the Symphony" - a man who took a nascent form and turned it into the very apex of musical composition. Repeating the trick with another benchmark musical genre seems almost greedy of him - and yet, with more than eighty masterful examples, Haydn's dubbed the "Father of the String Quartet" too. Which makes the neglect of one area of his musical output rather puzzling. Haydn wrote more than sixty keyboard sonatas, spanning a remarkable half-century in music history. This period saw harpsichords and clavichords replaced by the forerunners of the modern piano, and - more than that - keyboard music go from light dance suites to the sonata: a form that would shortly be elevated by Mozart, Beethoven and Schubert into the very highest pinnacle of musical art. None of this could have happened without Haydn. And yet, his array of sonatas lag behind the fame and appreciation of his symphonies and quartets. This week, Donald Macleod puts that right: with no fewer than fourteen examples, in the hands of fourteen virtuoso pianists from the last century, with a supporting cast of musical excerpts from opera, chamber and vocal works. Still ensconced in the Eszterhaza palace, deep in the Hungarian marshes, Haydn buries himself in a new set of piano sonatas - as well as his first mature attempts at opera. Donald Macleod introduces three more highly contrasting - yet equally beguiling - keyboard recordings from the BBC archives, from Monique Haas, Yakov Kasman and Christine Schornsheim. L'Infedelta Delusa (Act 1, Sc 6) - Che imbroglio e questo! Singer: Barbara Hendricks. Orchestra: Lausanne Chamber Orchestra. Conductor: Antal Doráti.